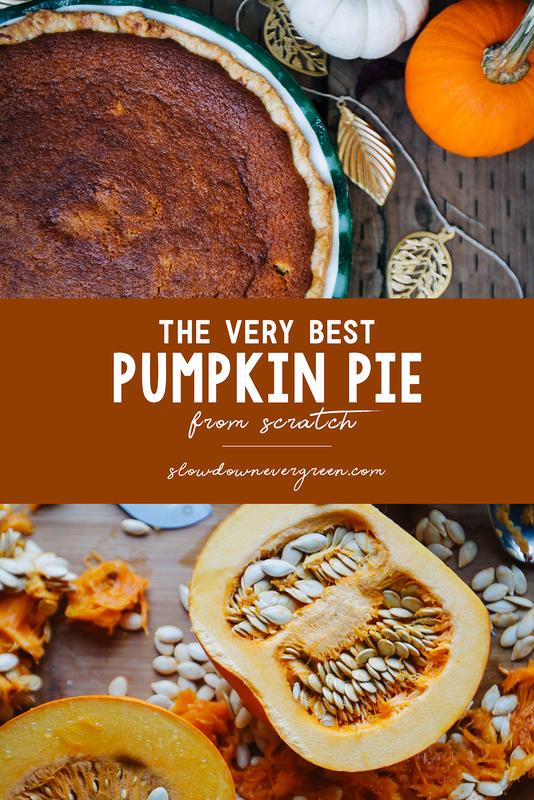 The best pumpkin pie from scratch. 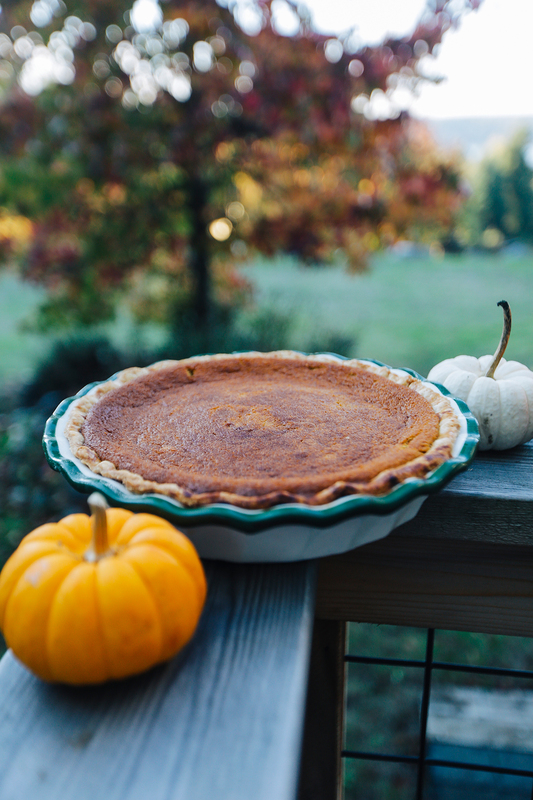 Pumpkin pie has never been my favorite dessert – it’s more of a must-have at Thanksgiving. I refuse to leave it off of the holiday menu. So, why not find a way to make it better? 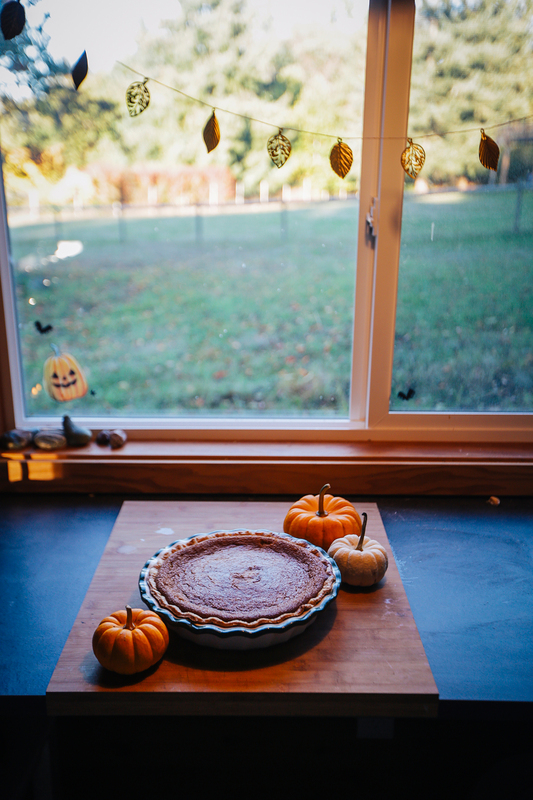 After making this pumpkin pie from freshly pureed sugar pumpkins, I can say with certainty that it is the best I’ve ever had. So good in fact, that I can’t wait to have it again. 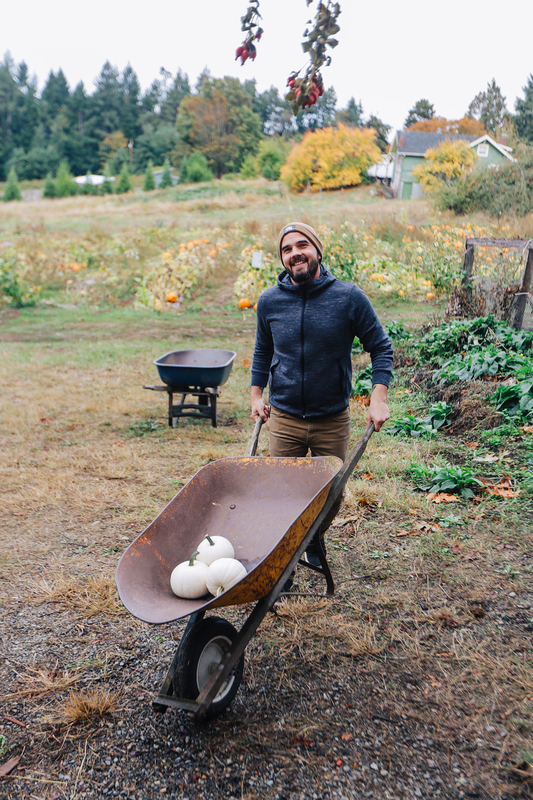 I’m lucky to live right down the street from the sweetest pumpkin patch this side of Washington. 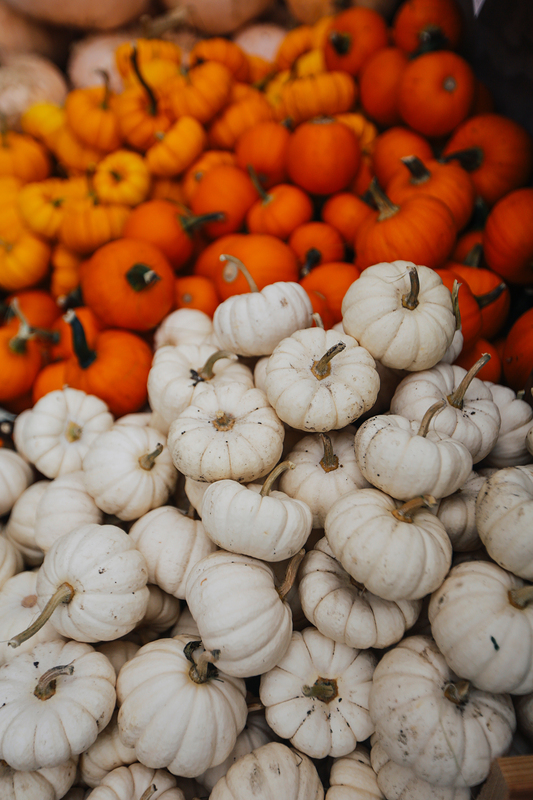 We visited at the beginning of October to get decoration for the house and while diving into an overwhelming pumpkin assortment, I came across sugar pumpkins. I’d heard of them before, but never used them. In an effort to get back to basics, I decided to give it a go and make pumpkin pie from scratch. I wasn’t sure how much I would need and later bought a second sugar pumpkin at the store. 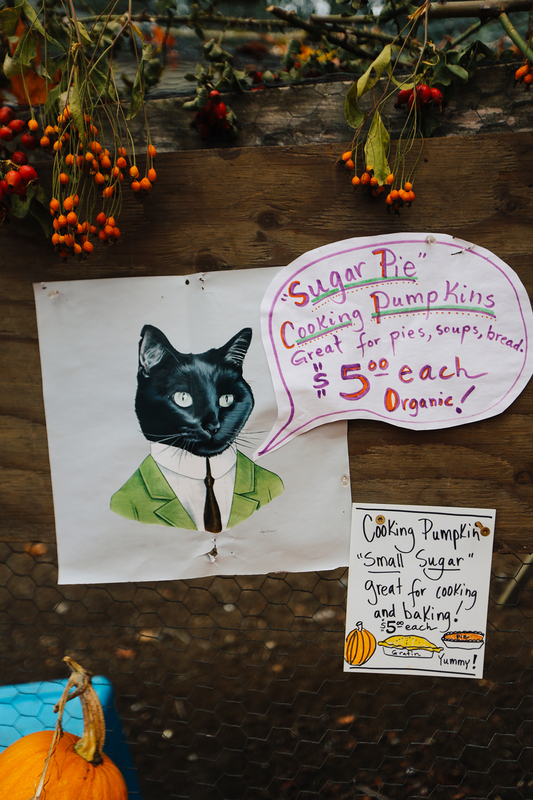 However, for one pumpkin pie, you really only need one sugar pumpkin. If you do roast two at once, you’ll have leftover puree for pumpkin bread or smoothies. Folks are surprised when I tell them you don’t use a carving pumpkin to make pumpkin pie. Jack-O’-Lantern pumpkins have less flesh and a thinner shell. 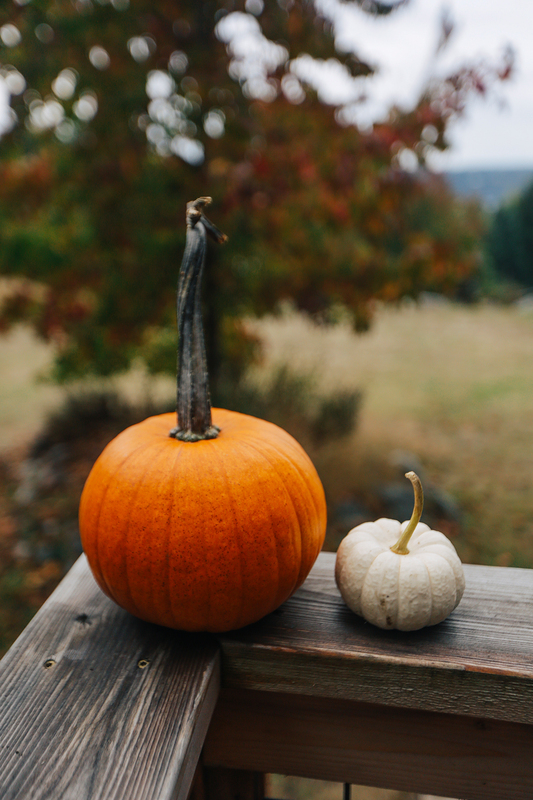 The flesh is stringier and contains more water than a sugar pumpkin. So while it’s great for Halloween decor, keep it out of your desserts. 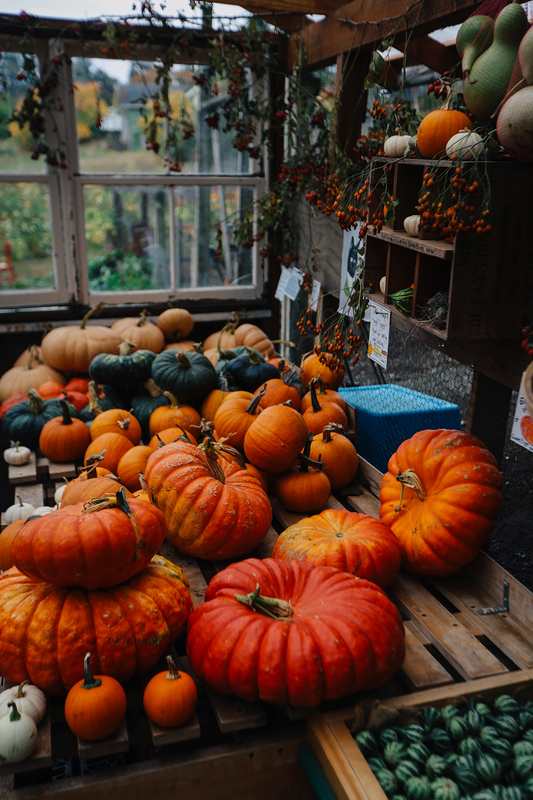 The term “pumpkin” can refer to a variety of winter squash: Connecticut field pumpkins, Dickinson pumpkins, and Kentucky field pumpkins, as well as Boston marrow squash and Golden Delicious squash. While it may be called a Dickinson “pumpkin,” if you looked it up, you’d think it was a butternut squash. I arrived at this conclusion after pouring the batter into my pie crust and realizing with horror that it was not at all orange. I Googled and found that fresh pumpkin puree is actually a much lighter orange than it’s cousin in the can. I breathed a sigh of relief. There was still hope for this pie. 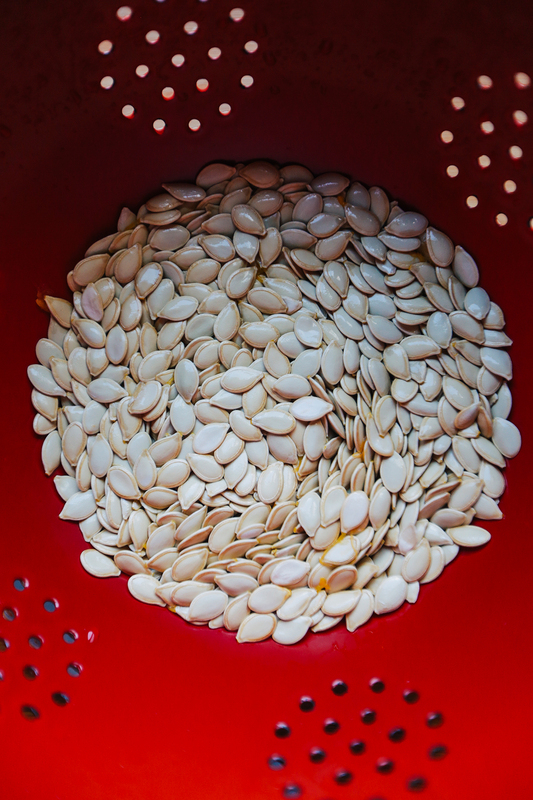 Let these bake at 350 degrees for 45 minutes to an hour, or until the pumpkin is tender when pierced with a fork. Once baked and cooled, remove the skin from the pumpkin. Some of my pieces were so tender that the skin peeled right off. Others took a bit more effort, in which case a knife worked just fine. 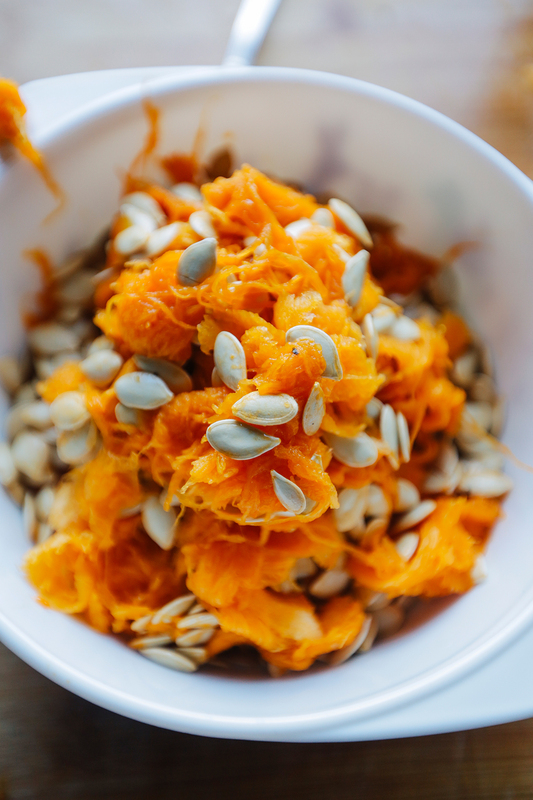 If your kitchen is fully stocked and you’re lucky enough to have a food processor, throw your pumpkin in with a little water, and voila! You’ve got puree. But if you’re like me, and you’re still working on stocking that kitchen, you’ll have to do a little extra legwork. 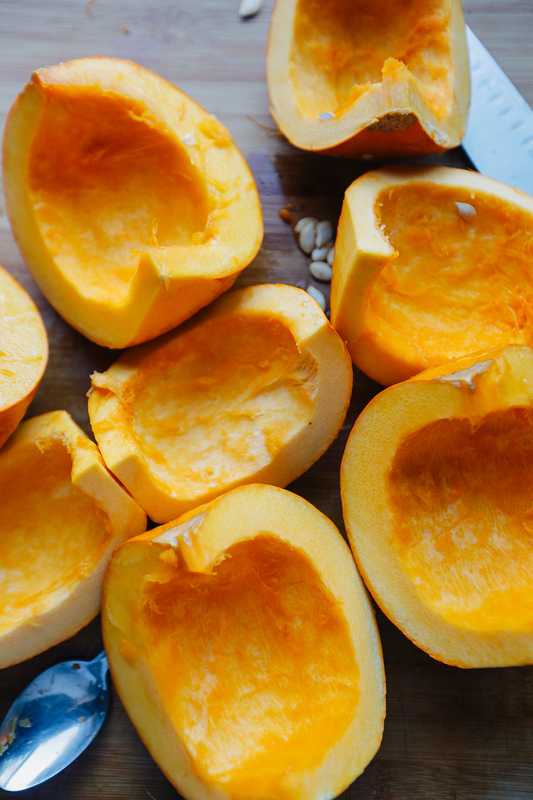 Throw half of your pumpkin into a blender. Add in a little water and start blending. I had to add more water as I went, but don’t add too much or else you’ll have a soggy pumpkin pie. Once I had a consistency I was happy with, I emptied my blender into a mixing bowl and repeated the first step with my remaining pumpkin flesh. My puree was almost there, but I wasn’t entirely happy with its texture. So, I threw it into my stand-up mixer with the whisk attachment and let it mix for a few minutes. It took a few extra steps, but I finally got a consistency pretty darn close to the can. With my pumpkin baking, I went to work on my crust. If you’re going to be making the filling from scratch, you can’t scrimp on the base of your pie! 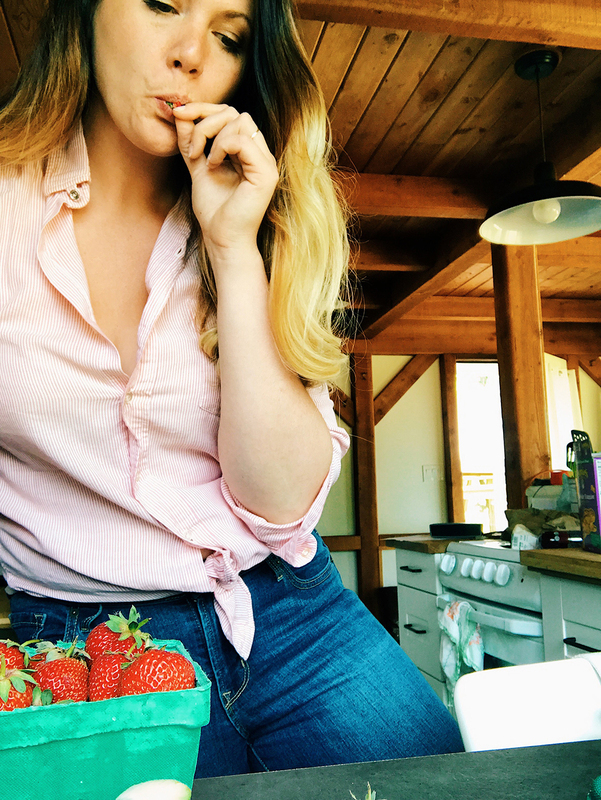 You can find my go-to recipe here. You know that really awesome $5 section at the front of Target? You know, the one that has all the things you don’t need but suddenly really want? Things like really cute cardboard straws, decorations for the upcoming holiday, cute socks that would make great stocking stuffers… You know the one. Well, that’s where I found this super cute pie pan for only $5. 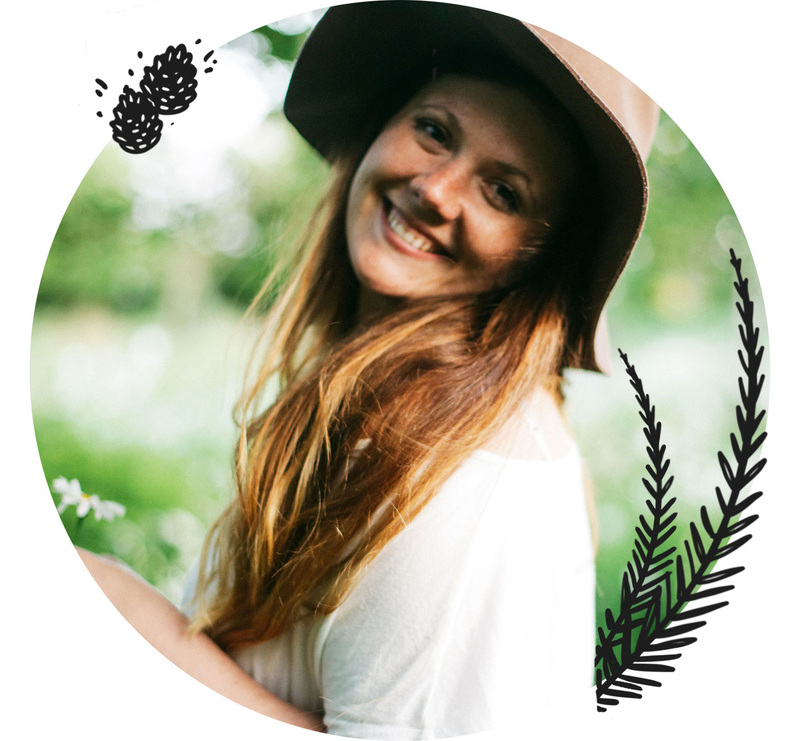 I was hesitant at first – would it break right away? Would it bake evenly? 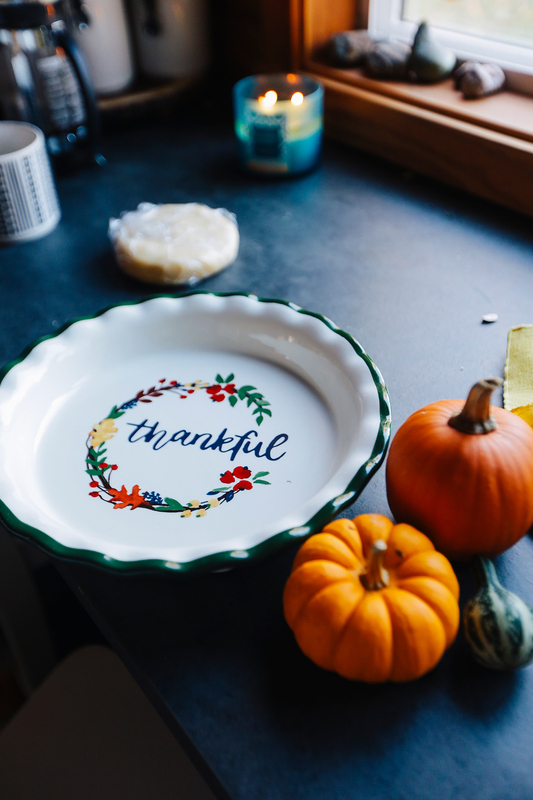 Would “thankful” fall off the pan and into my pie? Thankfully, and somewhat surprisingly, my $5 pie pan did none of those things and worked like a charm. It’s now on my short list of favorite baking dishes. I cut out a little leaf and stuck it on the top, but 10 minutes into it baking, I worried that the pie would swallow my little leaf and leave me with a weird indentation. So, I took it off. You can kind of see the remnants in the finished product. 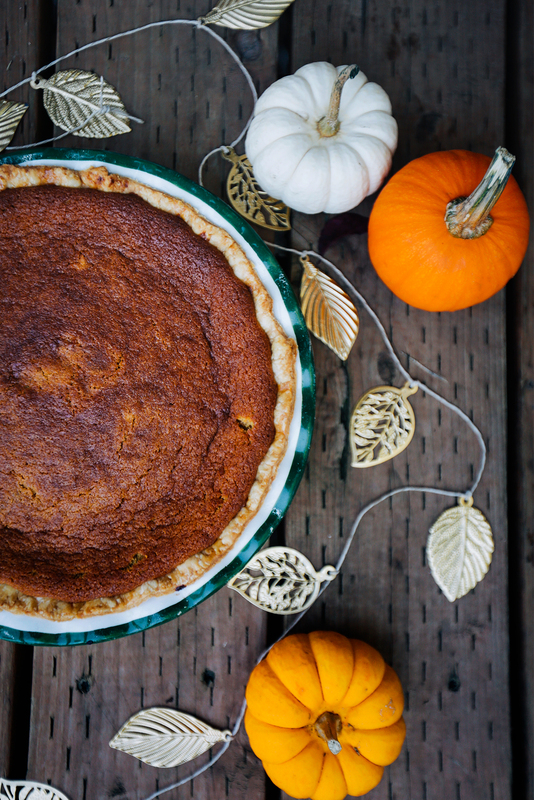 This pumpkin pie is seriously. So. Good. Do yourself a favor and make one before Thanksgiving. You won’t want to share and you certainly won’t have any leftovers. Make some homemade whipped cream and throw a dollop on for good measure. It doesn’t need it, but who doesn’t love some creamy goodness on top of a delicious pie? 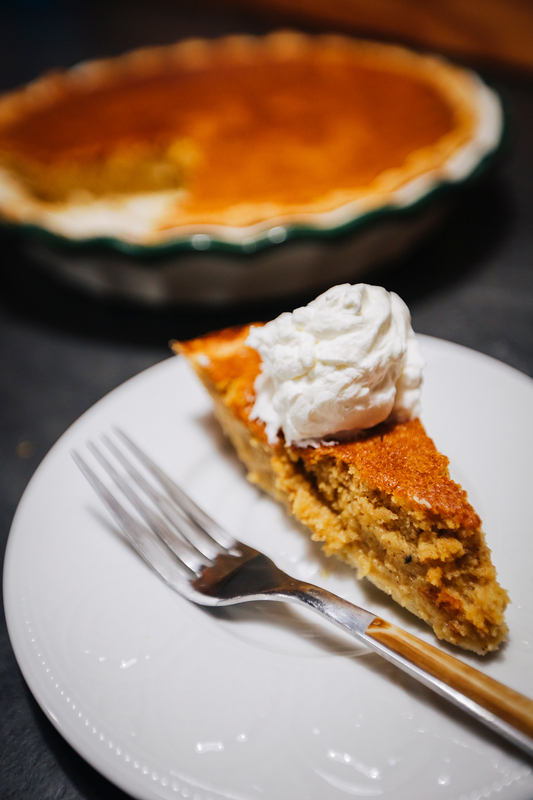 This is the most delicious pumpkin pie you will ever make. You will go down in history as the Queen of Thanksgiving. Using homemade pumpkin puree and cream cheese, this creamy holiday staple will have everyone asking how you made it. 2. 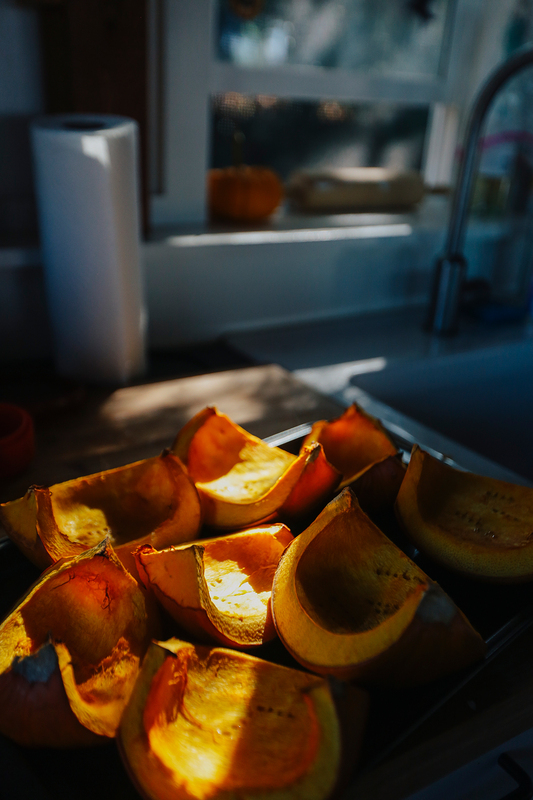 Let these bake at 350 for 45 minutes to an hour, or until the pumpkin is tender when pierced with a fork. 3. Once baked and cooled, remove the skin from the pumpkin. Some of my pieces were so tender that the skin peeled right off. Others took a bit more effort, in which case a knife worked just fine. 4. 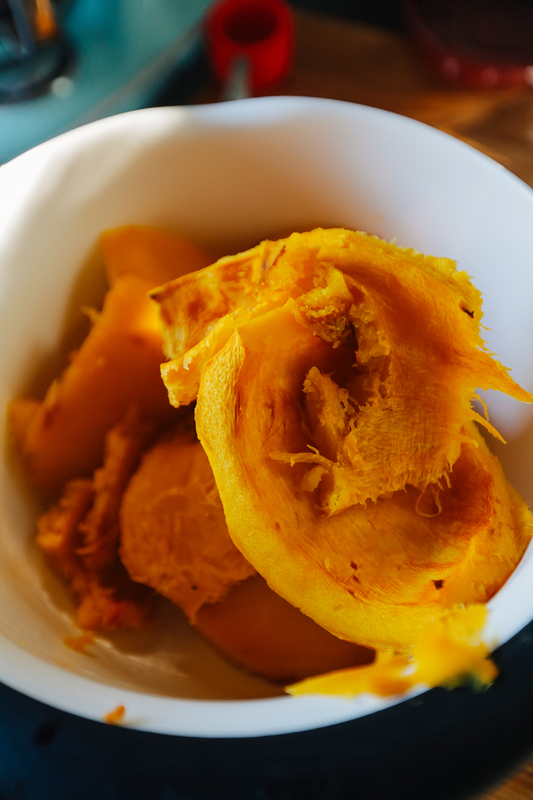 Place pumpkin and a small amount of water into a food processor to puree. 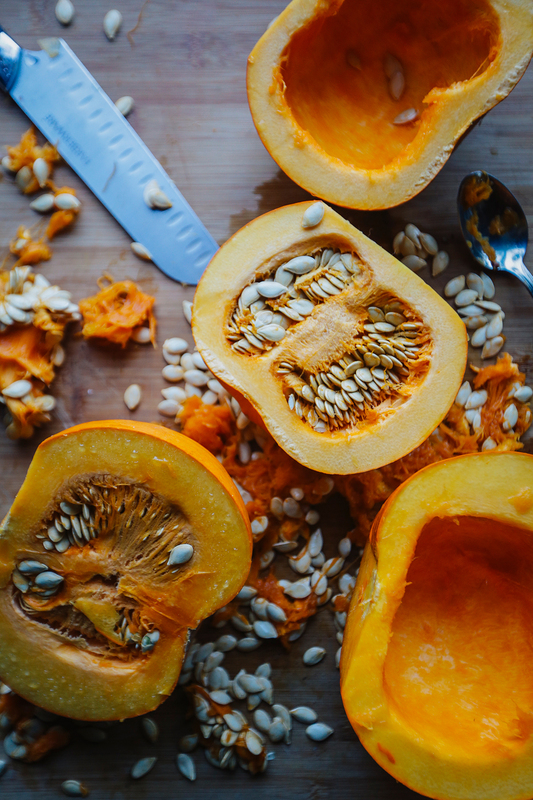 If you're without a food processor, throw half of your pumpkin into a blender. Add in a little water and start blending. 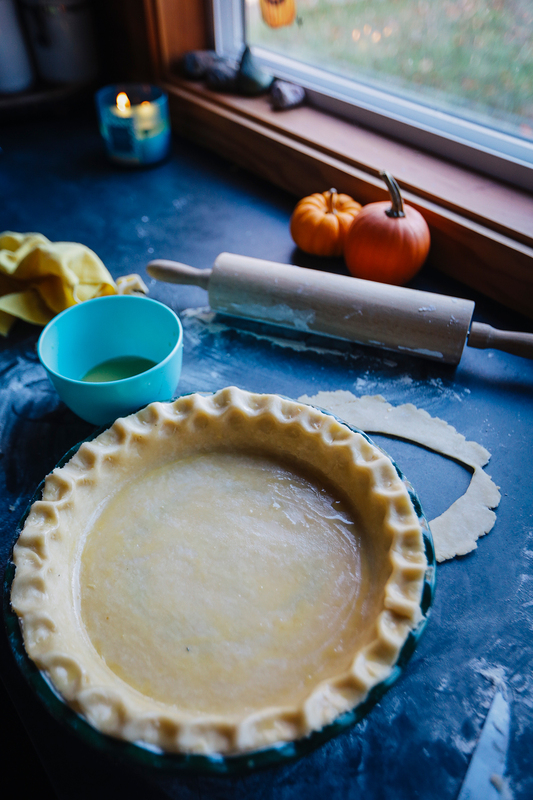 Add more water as you go, but don't add too much or else you'll have a soggy pumpkin pie. 5. 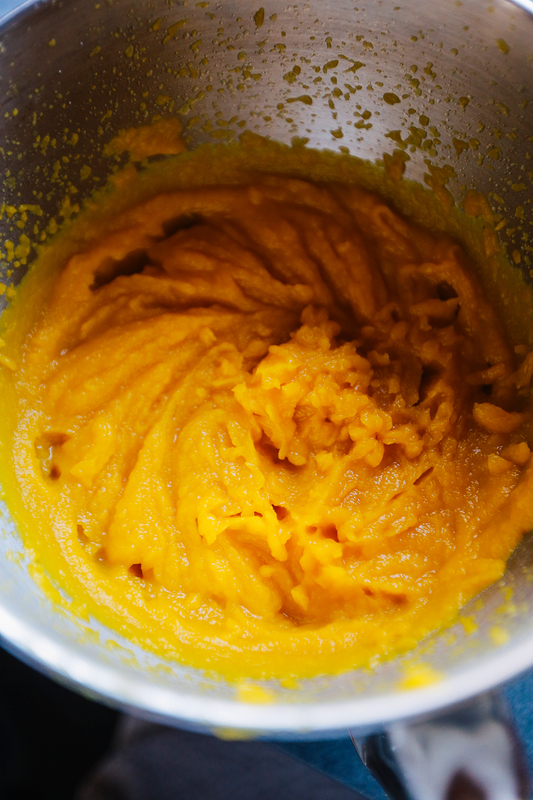 Empty puree into a mixing bowl and repeat the first step with my remaining pumpkin flesh. Using the whisk attachment of your stand-up mixer, mix the puree for a few minutes until it is free of clumps. 6. 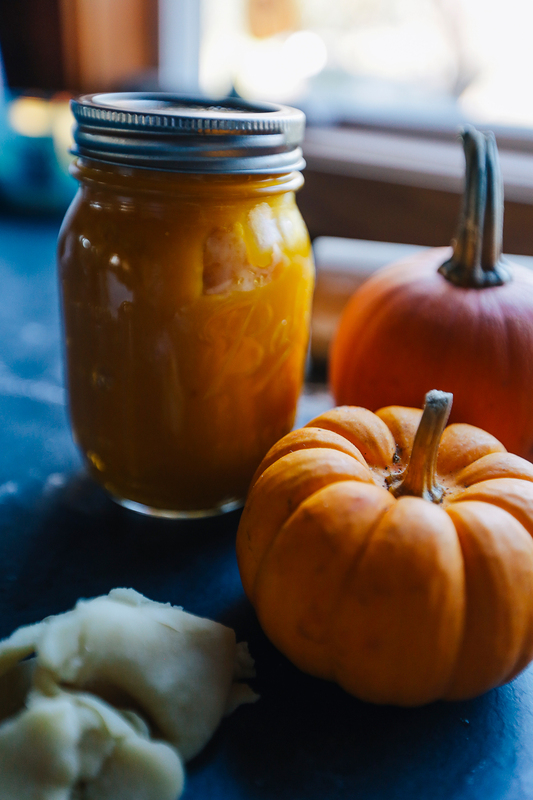 Store extra puree in a mason jar and save for other delicious pumpkin delicacies! 1. 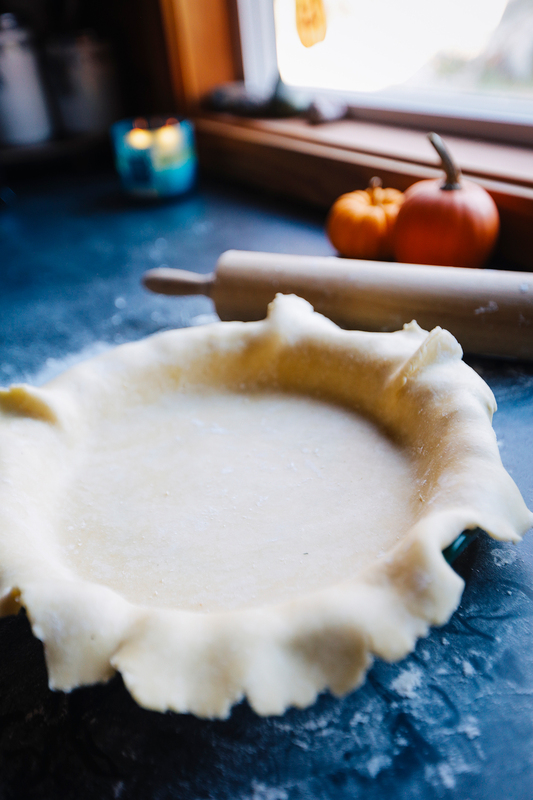 Make pie crust according to your recipe, place in a deep-dish pie pan and blind bake it to ensure a crunchy bottom. 3. In a medium mixing bowl, beat softened cream cheese with whisk attachment for 5 minutes until light and fluffy, scraping down the sides often with spatula. 4. Add pumpkin and mix for another 5 minutes, followed by melted butter and vanilla. Mix for another minute. 5. Add eggs one at a time, mixing well after each addition. 6. Add powdered sugar, cinnamon, and pumpkin pie spice and salt. 7. Pour pumpkin pie filling into pie crust and place pie plate on baking sheet. Depending on the size of your pie pan, you may have some extra filling. 8. Bake for 15 minutes. Lower the temperature of the oven to 350 degrees and bake for an additional 40 - 45 minutes. Watch the crust carefully to make sure it isn't becoming too brown. Cover with pie cover or foil to prevent browning. 9. Let chill in refrigerator for 4 hours. Serve topped with freshly made whipped cream. 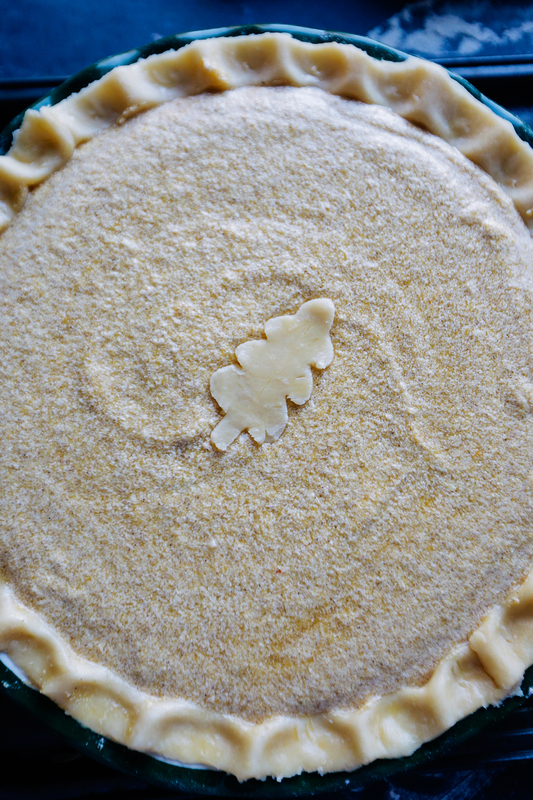 Use my easy all-butter crust recipe for the very best Pumpkin Pie.